AKIPRESS.COM - A comedian with no political experience has won the most votes in the first round of Ukraine's presidential elections, BBC reports citing exit polls. They say Volodymyr Zelenskiy - who played the president on TV - received 30.4% of the vote, with current leader Petro Poroshenko second on 17.8%. The two - who have expressed largely pro-EU opinions - are set to take part in a run-off election on 21 April. Ex-PM Yulia Tymoshenko appears to have been eliminated on a projected 14.2%. 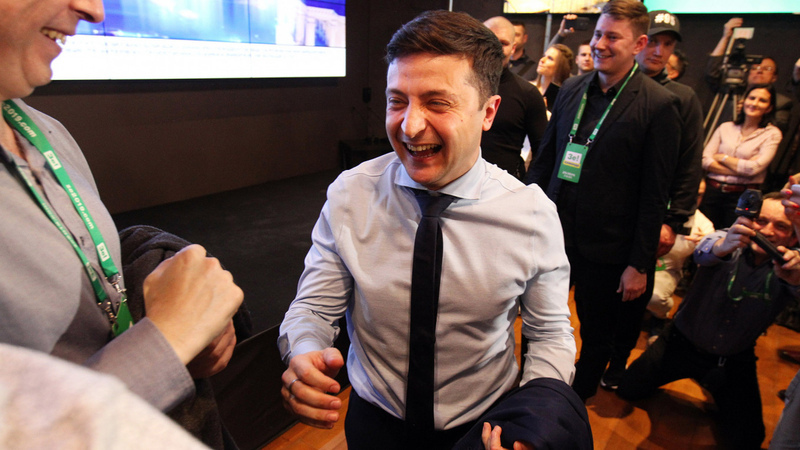 "I'm very happy but this is not the final action," Mr Zelenskiy told the BBC's Jonah Fisher minutes after the exit polls were announced. Mr Poroshenko described his forecast second place as a "harsh lesson".